Black and white image of a narrow, single-gabled home. The second story features a balcony with an elaborately carved riling. 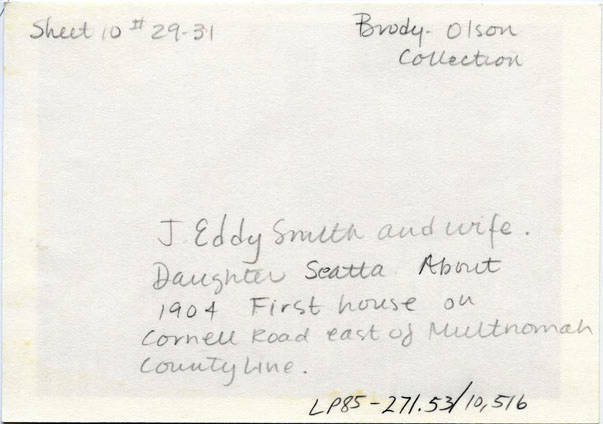 [back] [pen] J. Eddy Smith and wife. Daughter Seatta. About 1904. 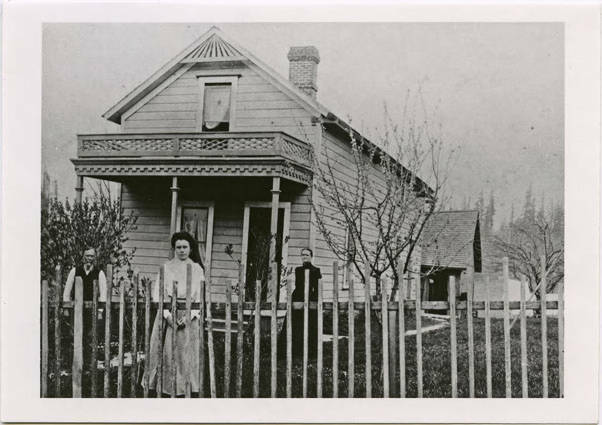 First house on Cornell Road east of Multnomah County Line.